For the re-creation of the Model Room of the Sir John Soane Museum, independent lighting designer Charles Marsden-Smedley was entrusted with lighting models that demonstrate the acclaimed architect’s collection of architectural models, and delivered a scheme that features luminaires from Precision’s award-winning Pico Zoom family. 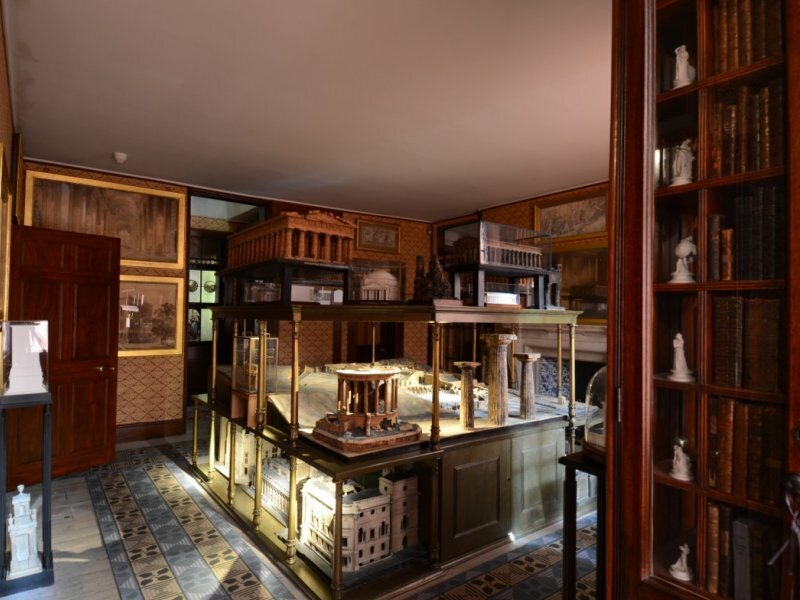 The renovation of the Model Room was carried out under the wider 'Opening Up The Soane' (OUTS) initiative; the project set out to restore original elements of the Museum, and sought to make more areas within the building accessible to the public. OUTS also provided new facilities, and special attention throughout the OUTS phases was on improving the visitor experience. For those interested in finding out more about the OUTS project there is currently an exhibition about the project, open to the public in the Foyle Space of the Soane Museum, and designed by Charles Marsden-Smedley. The Model Room was originally Soane's wife Eliza's bedroom, that was transformed by the architect with a dramatic custom-built central stand displaying highlights from Soane's collection of 121 models, in 1834. Following the architect's death in 1837, the Model Room was converted into the Museum Curator's private living quarters. As part of OUTS, Julian Harrap Architects were tasked with restoring the Model Room to its original condition, and offer the opportunity for visitors to view the collection in the same surroundings as Soane would have exhibited them to his guests. Arlington Conservation were responsible for the restoration of the spectacular model stand to its original dimensions and appearance, and worked alongside Dieter Coellen in reconstructing some of Soane's original models. 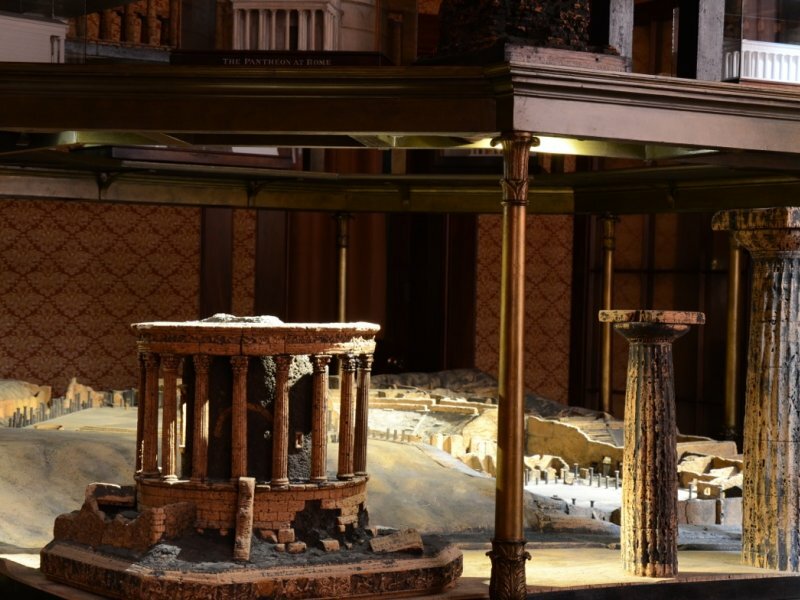 Charles Marsden-Smedley was tasked with lighting the re-created private apartments on the second floor, including the spectacle of the Model Room's central stand, which displays a number of impressive models, including a cork reproduction of the ruins of Pompeii. Marsden-Smedley's lighting scheme for the Model Room focused on drawing attention to each of the unique architectural models featured on the display stand. Marsden-Smedley opted for Pico Zoom luminaires from Precision as part of the scenario. The award-winning Pico Zoom features variable beam technology, allowing the light distribution angle to be smoothly adjusted from 12° through to 30°, without the need for tools, making it an ideal luminaire for on-site focusing. The Pico Zoom allowed Marsden-Smedley to finely tailor each luminaire's distribution so that the models were lit to perfection, and capturing their unique features and fine-details. The end-result is a fantastic collection of architectural models that are illuminated to perfection. The restored Model Room not only showcases Soane's legacy as one of the finest architects of the Regency period, but also demonstrates the pivotal role that model making continues to hold in the architectural profession. The Sir John Soane's Museum former Director Abraham Thomas says of the transformation, "It is wonderful to see Sonae's private apartments and Model room reopen, so that they can be enjoyed by future visitors as he intended."